Congratulations on your engagement! I can’t wait to hear your proposal story, see that sparkly ring, and learn all about your vision for your big day. My hope for you is that your engagement will be a sweet season where you and your loved ones can soak in the little moments while celebrating the big ones — but that can be hard to do when you’re stressed over choosing vendors, answering their questions, planning a wedding day itinerary, managing a budget, and much more! It wasn’t until after planning my own wedding in 2009 and watching close friends do the same that I realized how difficult it can be to actually enjoy engagement. 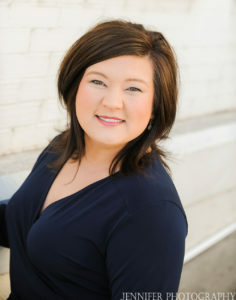 Armed with a planner, highlighters, and my connections with stellar wedding vendors across northern Alabama, I began lending my support to engaged friends who simply wanted to enjoy the wedding planning process. 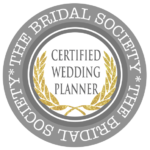 That passion project quickly grew into my full-time focus, and I’m now a certified wedding planner serving brides all over the state… and beyond! 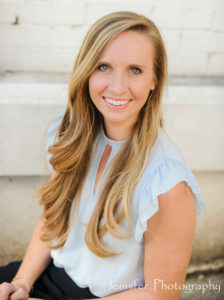 From helping you find the right vendors for your unique wedding vision to negotiating special hotel rates, overseeing your budget, and ensuring the big day itself runs smoothly, I will do whatever it takes to ensure you actually enjoy the once-in-a-lifetime moments your engagement season and wedding day will hold. If you want to plan the wedding of your dreams while actually being present and relaxed enough to enjoy it when it comes, I’d be honored to help. Click here to contact me and schedule your free consultation. Then, read on to learn a little bit more about me and my assistant Kai. We can’t wait to meet you soon! When the bride walks out in her dress for the very first time! How would you describe your own wedding? What are your go-to simple pleasures? If you could give newly engaged couples one piece of advice, what would it be? Create experiences! Travel and always be willing to explore and try new things together. Experiences are what create lasting memories. I love the father daughter dance! Happy – It was filled with laughter and music. We left on a boat! Smile, laugh, go on dates even when your older, talk when your mad, and thank God for each day you have together.